Sunset on the famous beach at Ipanema in Rio de Janeiro Brazil. A father walks with is children towards Arpoador Rock with Gavea and Dois Irmãos / Two Brothers peaks in the background. 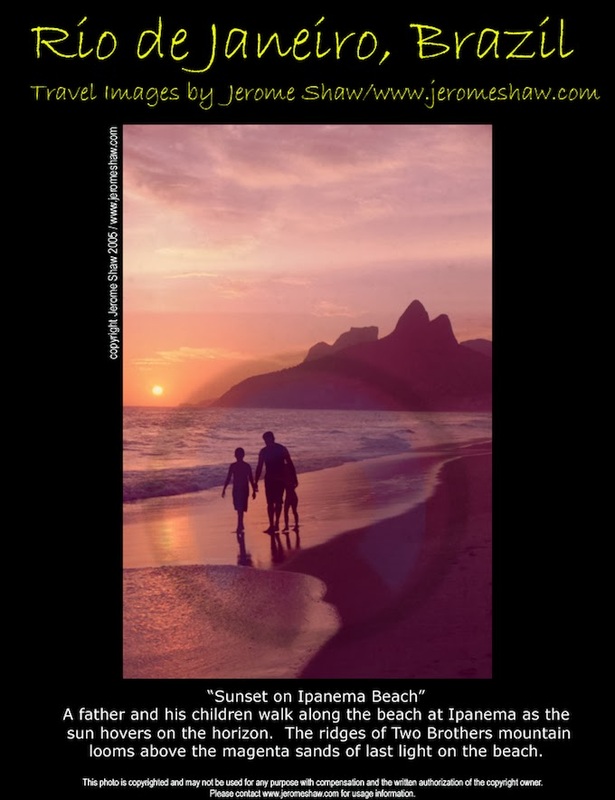 A father and his children walk along the beach at Ipanema as the sun hovers on the horizon. The ridges of Two Brothers mountain looms above the magenta sands of last light on the beach. Ipanema is wonderful place for outdoor activities especially as night falls as many areas of the beach are lit at night and are used by volleyball, soccer, and foot volley players as well runner, bikers and people out for a night time stroll.